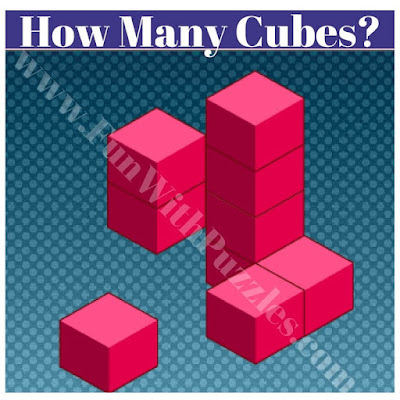 I have seen many aptitude tests in which isometric view of cubes is given in which some of the cubes are stacked over each other. One's challenge is to count the number of cubes in the given picture. These are kind of spatial puzzles which will test one's observational skills. 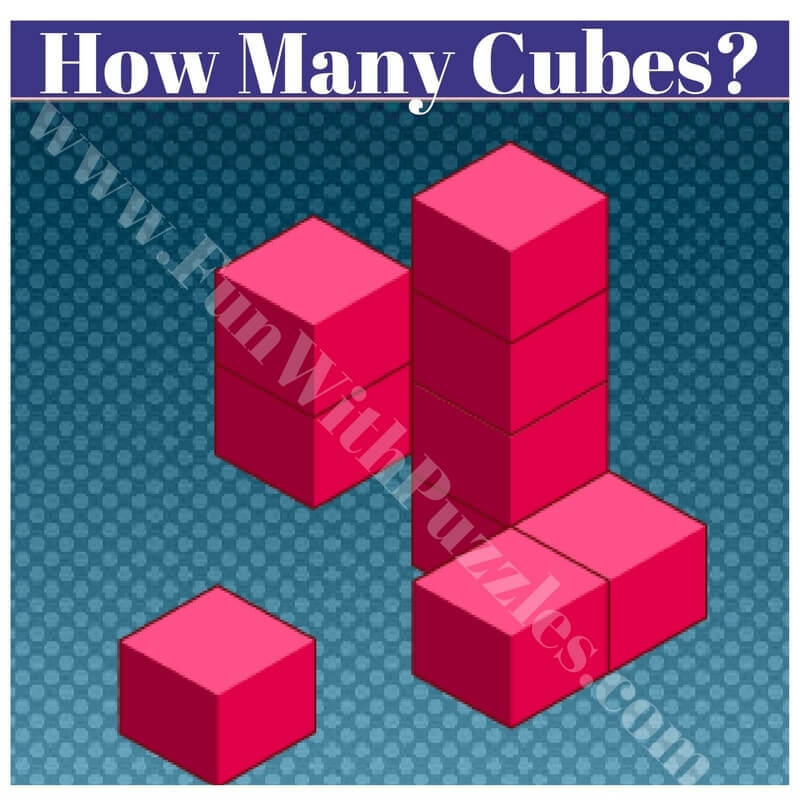 Here are the similar brain teasers in which one has to count the number of cubes in an isometric view. 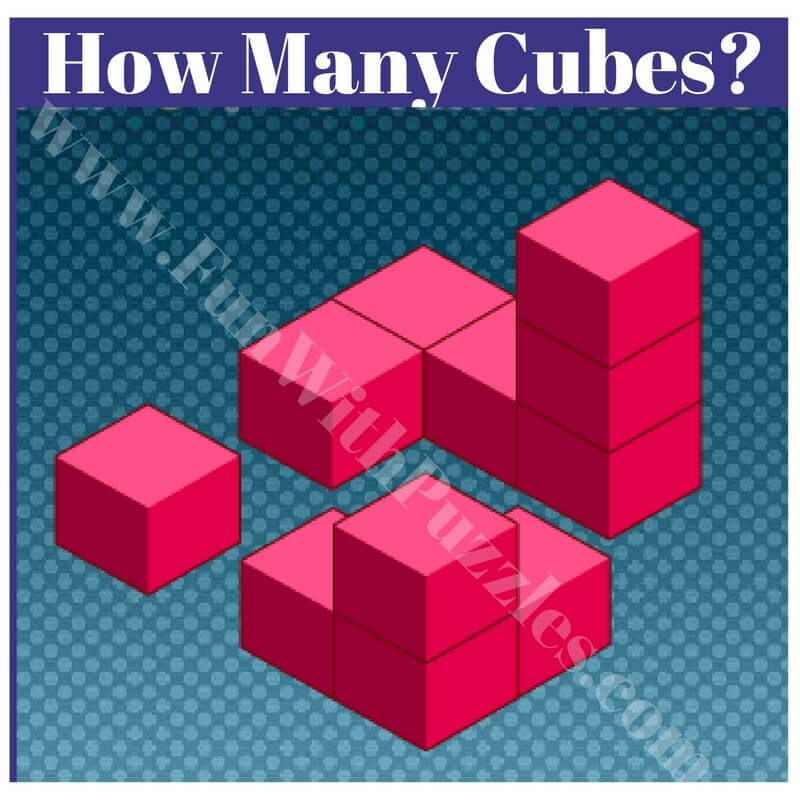 In these brain teasers, some cubes are given in isometric view. 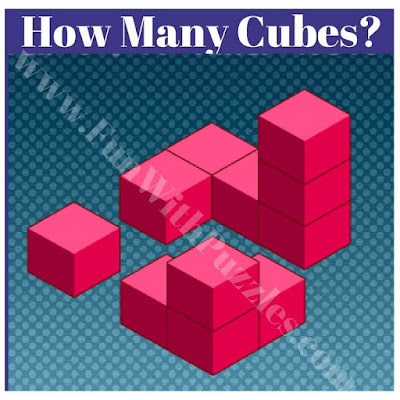 One has to find how many cubes are there in the given figure. 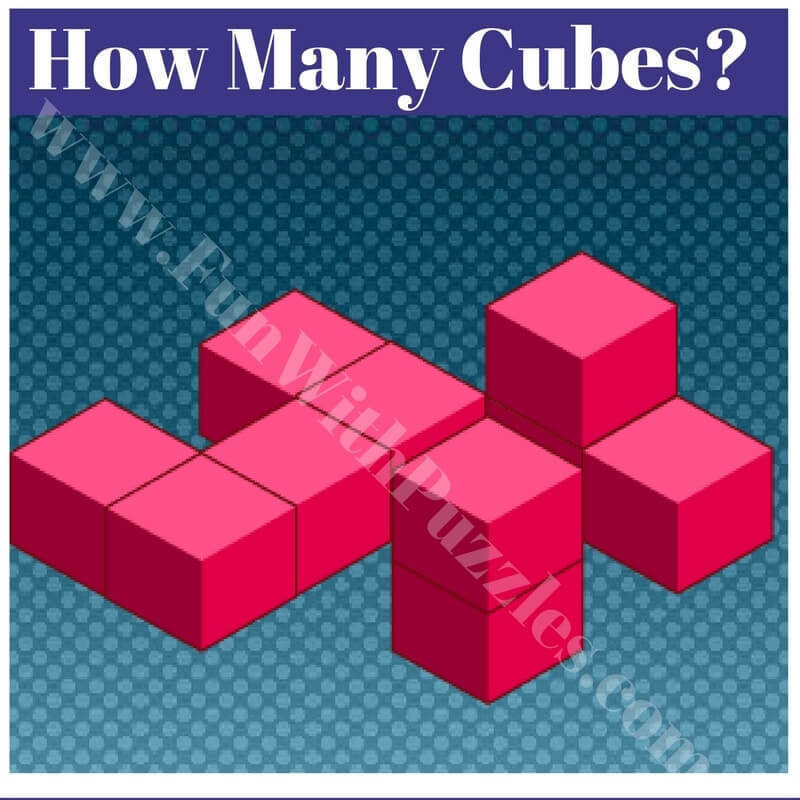 Try to count these cubes as soon as possible. 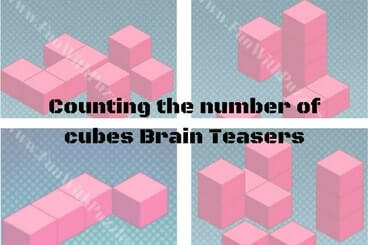 Answers of these brain teasers are given at the end. Do post your answers in the comment section. 4. 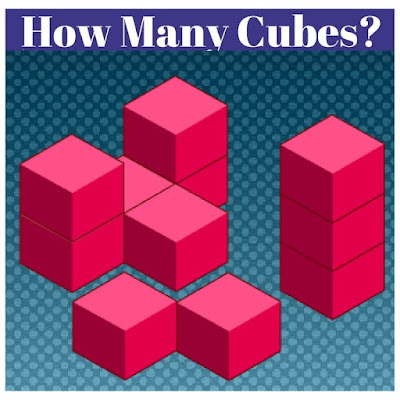 How many cubes are there in the figure? 5. 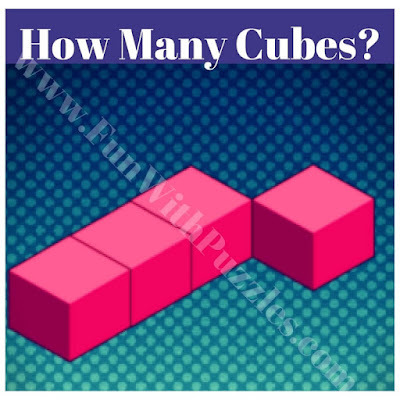 How many cubes are there in the picture puzzle?